Cold foil - a valid hot foil alternative? 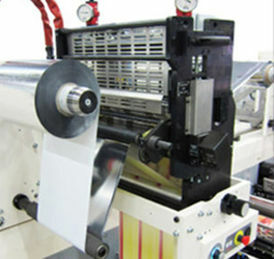 For hot foil stamping the glue layer must be activated well and pressure needs to transfer from the carrier to the surface. Depending on the substrate surface, the transfer is easier or more demanding. Consequently different applications demand different characteristics of the applicator. For some applications rotary is better, for others flat bed has a great advantage. The stamping process on uncoated papers is more demanding than on coated. With rotary application - due to the short line contact between the tool, the foil and the substrate - often 35, 40 or sometimes 50 m/min cannot be exceeded. Pantec GS Systems flat bed systems can increase the contact time by factor 7 or higher. This allows higher linear speeds, better transfer quality and cheaper foils and cheaper tools. Typical business areas for hotoiling on uncoated substrates: Wine, spirits, security, tax stamps. 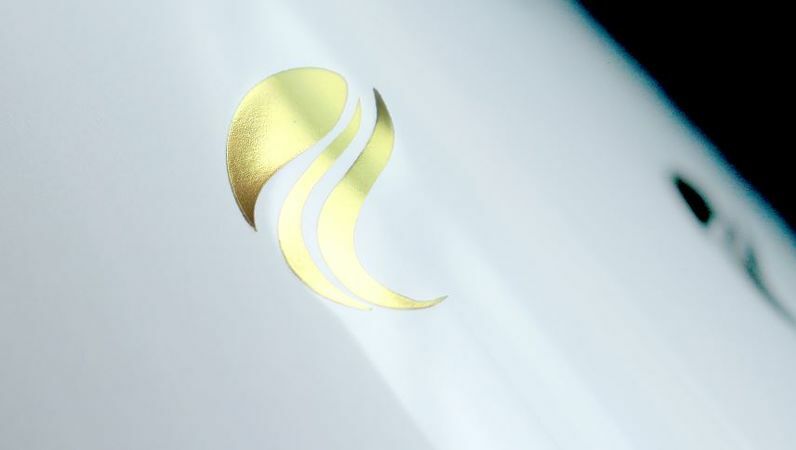 RHINO™ is a fast flat bed hot foil embossing and hologram insetting system with up to 30´000 strokes per hour. 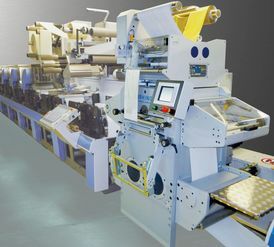 With its revolvable head even multifoil designs can be manufactured at reasonable speed in just one single pass. 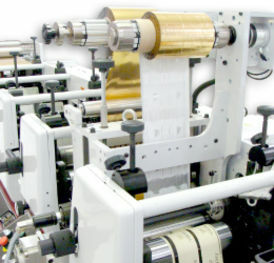 In rotary stamping the foil is applied to the web by a rotating cylinder. A main characteristics is that the transfer time for the glue activiation is an inverse function of press speed. Since the contact point between the stamping cylinder and the mandrel is theoretically a line, the contact time while the web is moving becomes very short with an increasing web speed. This extremely short dwell time explains why porous materials are difficult to process rotary. Therefore rotary stamping is appropriate for closed surfaces, such as on coated papers and plastics. Typical business areas for hotfoiling on coated, closed substrates: Food, cosmetics, health care, security. Cheetah™ is a high speed rotary foil stamping (and optionally embossing), foil saving and hologram insetting system capable of running up to 150m/min (which equals 12’000 – 15’000 sheets/hour). Thanks to its high speed performance, Cheetah™ can be run in-line for single pass operation as well as being setup off-line as a refining center to be fed from several presses. FLOWMAN™ is a rotary stamping system, based on an oil heated mandrel. ELECTROMAN™ is a rotary stamping system, based on an electrically heated mandrel. Both systems fit perfectly for narrow web presses. What´s the advantage, what´s the contradiction? Not sure if rotary or flat bed fits better to your application? The improvements in cold foil technology resulted in more and more competition for hot foil. Due to the higher tooling costs in hot foiling compared to a flexo cliché for cold foiling, many brand owners and printers relinquished the higher brilliance and better fine line quality of hot foil for the benefit of economy. But there is a major factor of economy that is often not considered: Hot foiling with a powerful foil saving system quickly overcomes the breakeven point between the costs of cold foiling and hot foiling. Despite the higher tooling costs in hot foiling, hot foiling may become much more competitive than cold foiling. 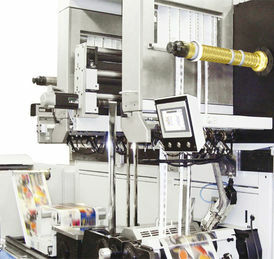 Because the foil saving not only covers the tooling costs, it generates profit. Moreover, the higher brilliance, the sharper edges, etc. make a positive differentiation in quality. SWIFT™ is a powerful hot foil saver and can additionally be equipped for patch and hologram insetting. 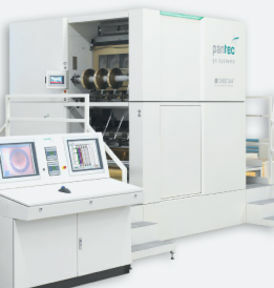 It can be used with the Pantec hot foil stamping systems FLOWMAN™ or ELECTROMAN™ or can be integrated onto rotary hot foil stamping systems which are already in the press. SWIFT™ is designed to be mounted onto the rail and can be moved to different positions along the press. The combination of SWIFT™ with the rotary stamping systems FLOWMAN™ or ELECTROMAN™ gives you a powerful cold foil substitution solution if you do not have a rotary hot foil system yet. FLOWMAN™: is a rotary stamping system with an oil heated mandrel. ELECTROMAN™: is a rotary stamping system with an electrically heated mandrel. IS COLDFOILING THE BEST OPTION? Cold foil on a first glance is more economic than hot foil because of lower tooling costs. But how is the calculation if the saving potential of hot foil is taken into consideration? Are you curious if you can increase your profits by substitution of cold foil with hotfoil stamping? Contact us for a professional advice!